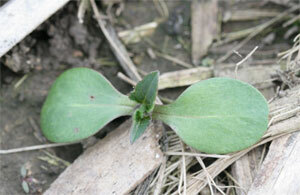 Images: (left) Leaves of a large giant ragweed plant, photo credit: United Soybean Board, and (right) a giant ragweed seedling with large, egg-shaped cotyledons, photo credit: U of Missouri. 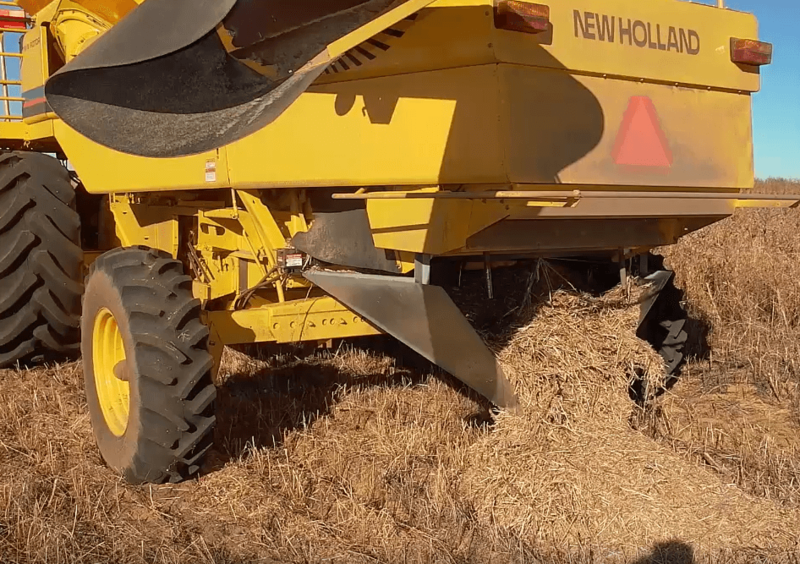 Consider strict no-till practices to leave seeds on the surface, subjecting them to predation. Giant ragweed has been found to be less common in no-till fields than in conservation-tilled fields. 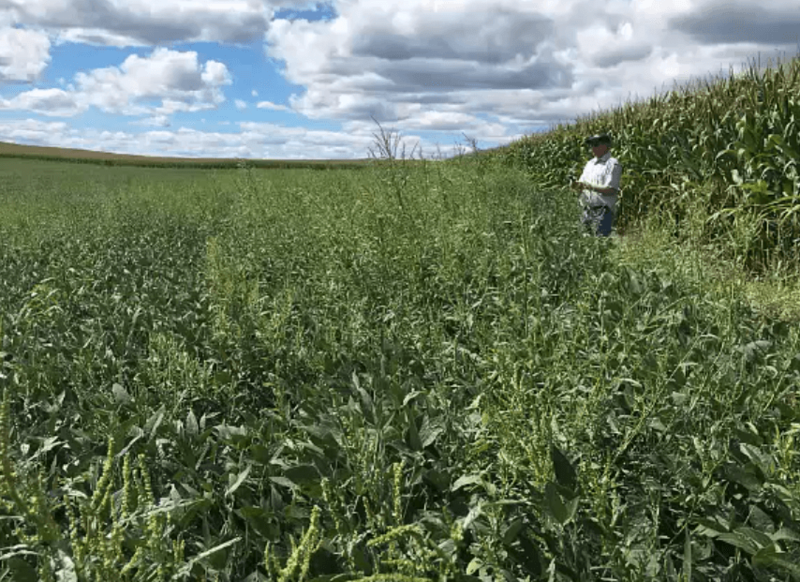 Rotate into a forage, as giant ragweed does not tolerate mowing.